And to make it even more special…its gonna be at the Arts District’s premier venue, RESIDENT !!! DJ DOCTA “The Eclectic Selecta” & DJ WHAT?! (Channel Rock). They only serve up #TopChoice #Authentic selections of #REGGAE #DANCEHALL #AFROBEAT #HIPHOP. 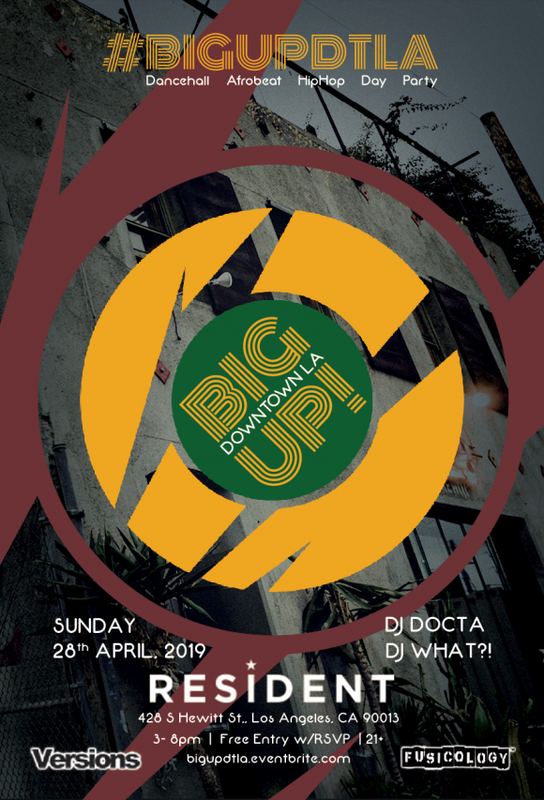 This is the kickoff for the downtown day party series #BiGUPDTLA. Limited capacity and early arrival suggested. There is limited street parking in the neighborhood on Hewitt St. Paid parking is available in the lot on the corner of 4th and Hewitt.